PUNE: Retired Judge B J Kolse Patil who has spearheading a sustained fight against communal and fascist forces in Maharashtra has delivered yet another blow to Brahminist terrorism. Patil who was addressing a gathering of over a hundred workers from the Indian Muslim Front (IMF) in Pune said that terrorism was first brought into the world by none other than Brahmins and it was the brahmanwadis who were the true inheritors of terrorism in the country and the world. “Brahmins gave birth to terrorism and were wreaking havoc on the nation by intelligently diving the bahujans and muslims in the country. They captured the key positions of power in the country like Intelligence Bureau (IB) , its allied secret agencies, police, bureaucracy and executive political positions thus extending their absolute control over the society. The current politics of witch hunting muslims in the name of terrorism is just a ploy to hide their criminal and inhuman activities ,” he alleged. Patil further appealed to the citizens to come out a large number during Brahmanwad hataon rally scheduled to held at the historic Shaniwarwada palace on Sunday. 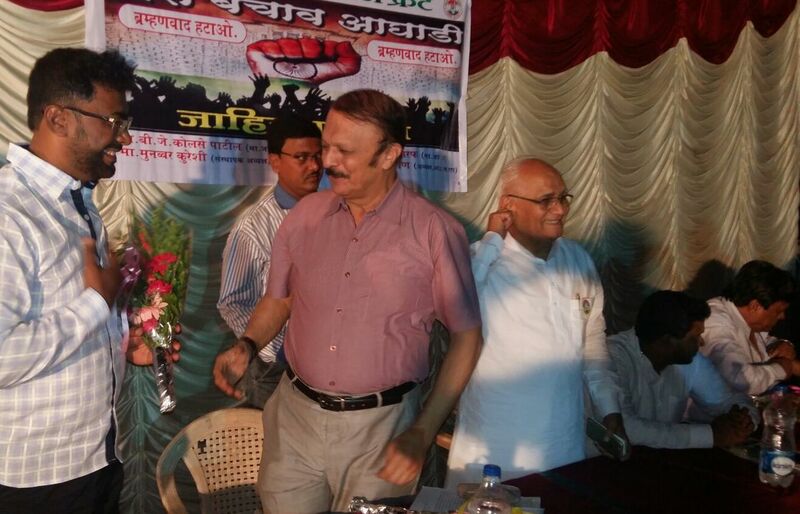 Patil said “ The muslims should come out to protect him from vicious elements of different Brahminist factions . I am not afraid to die as I have taken an oath to work for the cause of humanity and no force can prevent me from discharging my humanitarian duties ,” he added.